A hot new Mass Effect: Andromeda trailer dropped last night at Nvidia's CES 2017 keynote. The trailer, which features a wealth of cinematic and in-game footage, shows off some of the game's hotly anticipated new weapons, aliens, planets and combat mechanics. 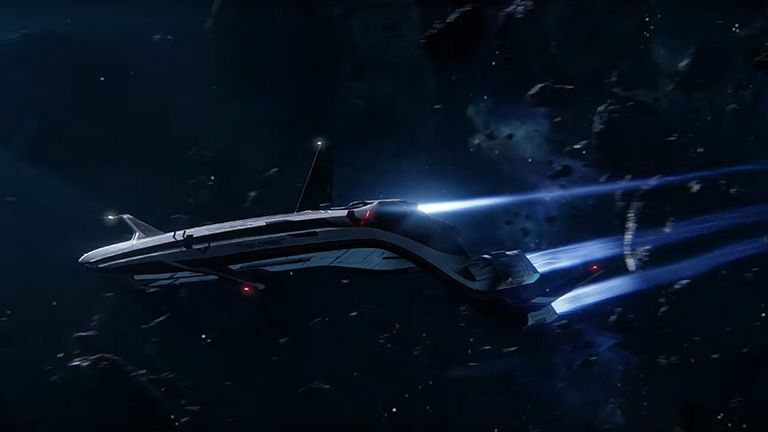 The new trailer comes off the back of the news earlier this week that Mass Effect: Andromeda will launch on March 21 in North America and March 23 for the rest of the world. The game has been confirmed to be available on PlayStation 4, Xbox One and PC. There's no doubt about it that this is one of the biggest releases of 2017, with the IP's original trilogy so beloved by gamers worldwide thanks to its slick alchemy of Action-RPG and mature, well-written storytelling. Whether or not this new iteration lives up to its legacy remains to be seen, however from what we can see it certainly looks the part if nothing else. More information about Mass Effect: Andromeda can be found over on the game's official website.